The Swedes make a quality washing machine. We inherited this model when moving into our new condo, but it was bought in 2005. I love that it's a front-loading stackable washer to save space. It doesn't look big, but it holds a surprising amount of clothes. We cram arm loads of jeans and towels into this washer and it does not complain. One unusual feature of this washer is the absence of a latch or handle - you have to press the button with a key icon to pop the door open. That took me a little while to figure out. The only problem we've experienced with our washer/dryer combo is an electrical problem with the dryer. It stopped working mid-cycle, and the repairman said the fusebox had an electrical fault and needed to be replaced. This was not the first time he'd seen that issue, so you might consider buying the extended warranty if you purchase this unit. It makes sense to buy the washer and dryer together since they stack perfectly. This washer does a great job and most importantly it is QUIET. When I close the door to the laundry closet, it is barely audible, even in the high-rev spin cycle. This is a huge improvement over our Kenmore high-efficiency front loader - you couldn't carry a conversation over the noise of that one. Fought this machine 16 years ago and still going strong , would by another ask. Love this machine wouldn't have any other - sadly it has done its dash and after 10+ years of constant usage its time to say good bye and replace it with another Asko - it leaks constantly from under the machine - too costly to fix. Bought this machine 12 years ago (December 2002) and just today started having problems. Turn it on, push start, nothing. Push again, nothing. Turn on, off, on, off, start, nothing. Overall it's been great but perhaps it's time for a new one. Holds surprising amount of laundry for its small size. Takes a long time to complete a cycle, but the clothes feel amazingly clean. I've had this machine for 11 years with no problems at all! I love that I can set the temperature myself. So what if the cycles are longer, your clothes are that much cleaner than standard machines. I will only have an Asko in our house. I am here looking for clues to the problem and how i can fix it myself. Dryer had one problem in 10 years, belt wore out after 9 years, which I replaced myself, not easy, but not impossible if you have the time and don't have money for service. Bought mine 7 years ago and have used it for a family of five and have only had to call for repair once(our fault- left something in a pocket and it jammed the outlet) it was just out of warranty but they still covered it. LOVE It!!! My family bought the ASKO W6021 washer & its sister dryer 3 years ago because we live in an apt. and its dimensions fit our constricted space requirements. I suppose owning this product is OK if the aesthetics of washing clothes is important to you (it washes well using little water, it has a crisp, clean attractive appearance) otherwise, this product is a joke. 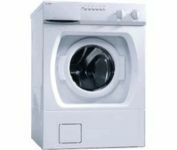 It's not designed for everyday use, the "quick wash" takes close to 45 minutes, and servicing this monster is expensive and frequent, assuming you can even find an ASKO represenative. (and I live in the downtown Boston area!) Again, if you're single, you plan to use the appliance only a few times a week, and you have the disposable income to spend on the aesthetics & service this product I guess it's OK, otherwise BEWARE! It does not work. In three years motor burned out, electonic controls burned out, water heater broke and washer will not turn off. Customer service has been a joke even with extended warranty. They don't want to send a repairman they just keep telling me to turn the washer off for 10 min and try it again. NEVER BUY AN ASKO!